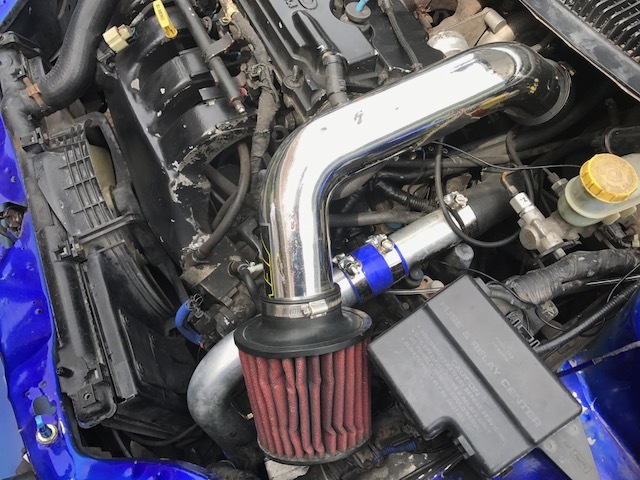 You are here: Home › MP Blog › Rob’s 1998 Dodge Neon Coupe with SRT-4 engine swap. 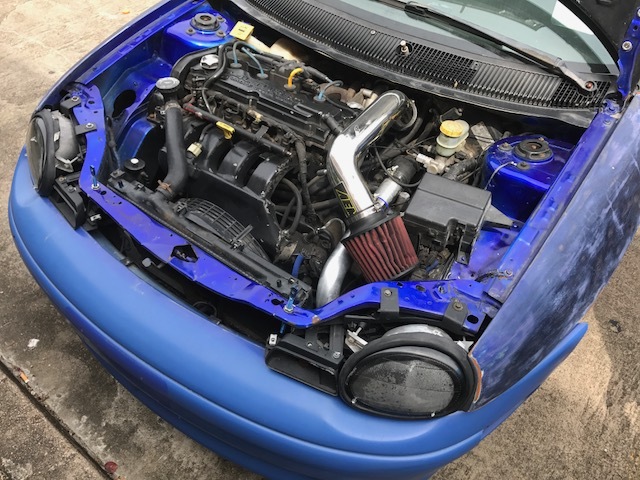 Rob’s 1998 Dodge Neon Coupe with SRT-4 engine swap. Ok, this is the real definition of a project car, or work in progress. Its rough, but frankly we love it. This is owned by Rob A from Houston, TX. 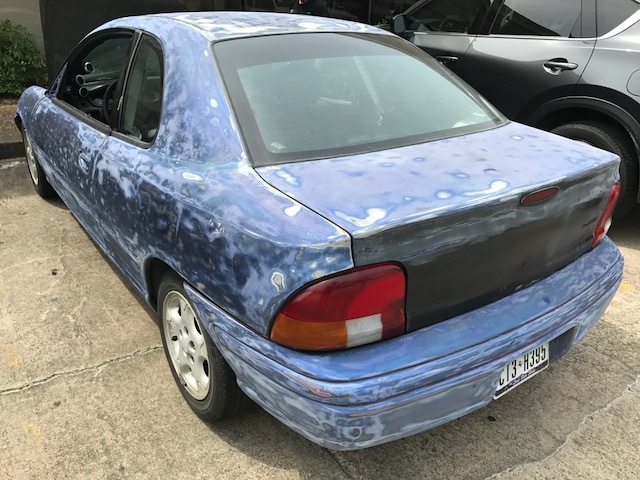 It started life as a platinum coupe and at some point someone painted it a candy blue color. Its a full SRT-4 swap EXCEPT it has the T350 Neon trans. 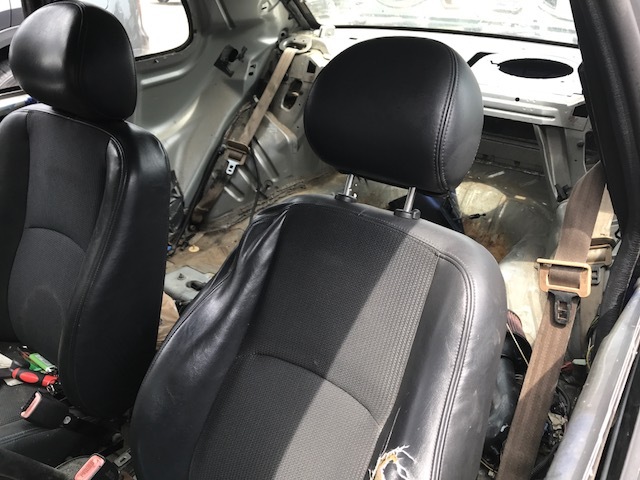 Not much interior! Probably a solid 90 lbs of weight savings from all the carpet, spare tire, speakers, seats being gone. 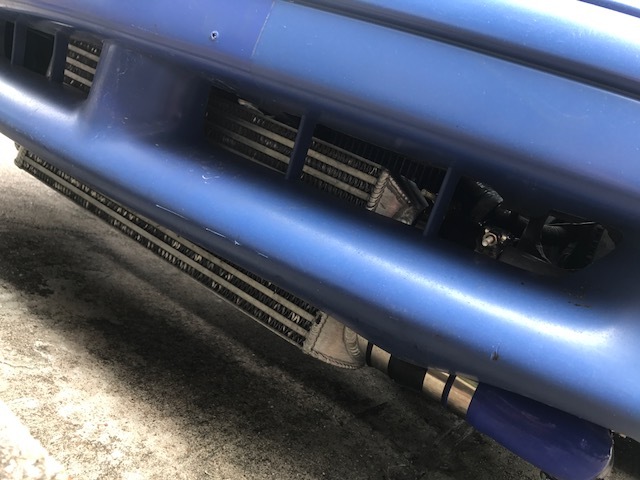 This Neon has a driver side feed and return intercooler, we havent seen intercooler piping on a first gen Neon run like this in a while, but it works! Our buddy Alex has dropped in a 2.4 into his 1998 Dodge Neon Platinum Coupe ACR! 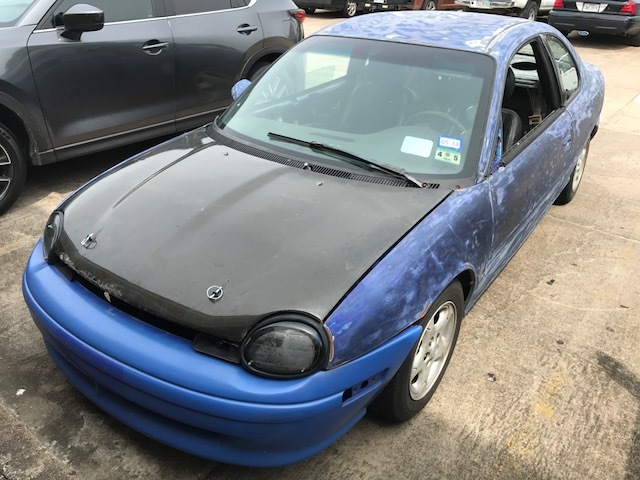 1997 Dodge Neon Lapis Blue Coupe with 2.4 Swap owned by Al from Austin. Comparing carpet samples for 95-99 Neon Carpet project.